Oh my as if we are over half way through the year already, its going way too fast guys! Anyways I have a lovely little favourites for you this month, some new products that I will be reviewing in more depth asap! 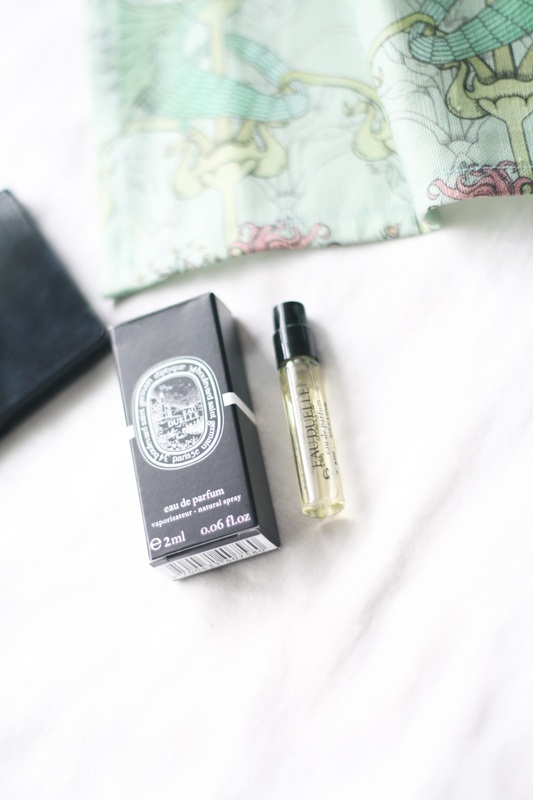 Diptyque - eau de parfum - eau duelle | You might be thinking why on earth is Sarah showing a Diptyque sample size perfume in her monthly faves! 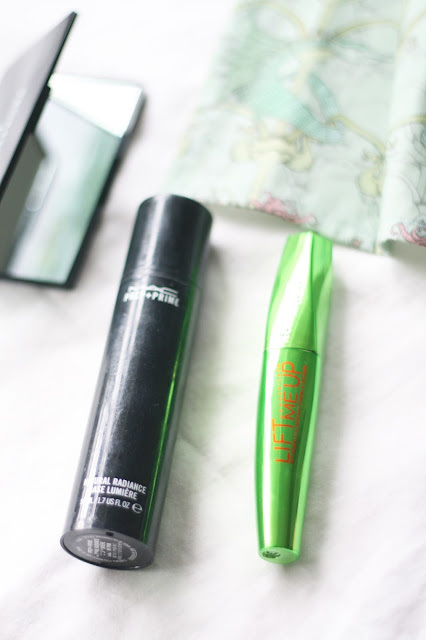 Well I got a couple of samples of eau duelle and I am in love and I needed to share this with you! Its such a pretty scent, its a little sweeter than what I normally wear (see my fragrance post here) as it smells like vanilla but with a slight woody edge from rockrose and spices. Its delicious and I will hopefully get a bottle for my birthday in September, just need to make a few more subtle hints! Now this will set you back $150 for 75ml but once you have used this in the morning you can still smell it all day long! It is definitely a quality product. Shop this gorgeous scent here. Laura Mercier - loose setting powder - translucent | This product is a blogger must have and I have only just jumped on the bandwagon because its pretty pricey, $38 for 1oz! I took the plunge and I am so glad I did. 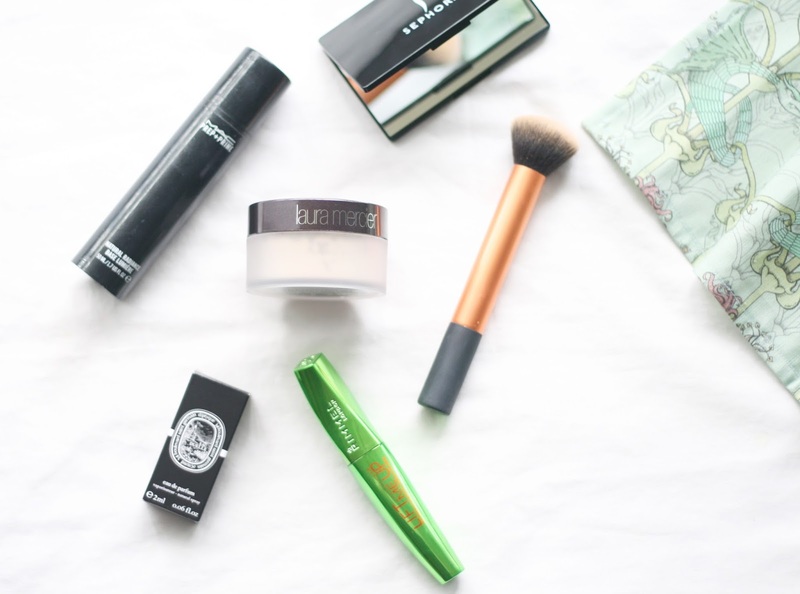 I talk about my oily skin a lot on my blog and I am always looking for products to keep my skin looking matte all day. I use this alongside my Hourglass immaculate foundation and Urban Decay concealer and together I achieve the perfect matte finish that lasts. After applying the powder my skin feels like velvet and looks natural like i'm not even wearing any powder. You need this in your life, purchase here. Mac - prep + prime - natural radiance | This is my holy grail product for when I need my make up to stay put all day long, this primer is also great for oily skin! Yes! This is a gel formula that I apply with my fingertips, it instantly absorbs into the skin creating a perfect base for my foundation and powders. 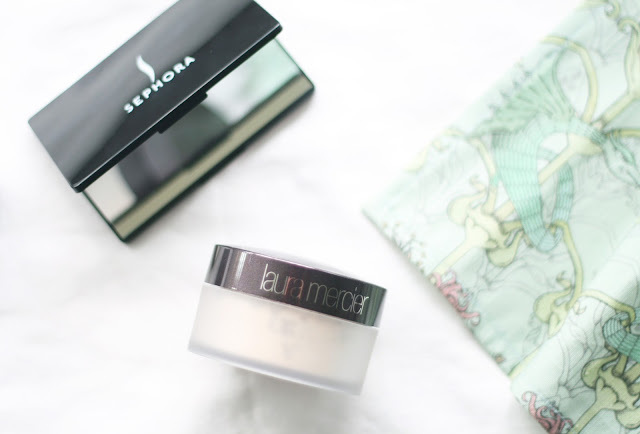 If you want flawless foundation you need to use a primer and this one works a treat for me! This product comes in two shades, pink for fair skin tones and yellow for deeper skin tones so we are all covered. I've also had this prep + prime for over a year now and I still have loads left, you only need a pea size amount. $41 shop it here. Real techniques - core collection - buffing brush | This brush actually came as part of a set which I bought a couple of years ago (If you frequently wash your brushes these will last you ages) but until recently I hadn't really used the buffing brush. 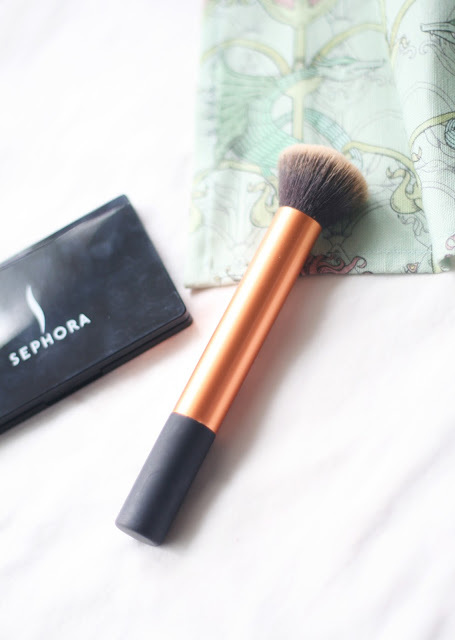 For my foundation I was using the flat brush but it wasn't blending into my skin properly so I randomly used this brush instead one time and then I was hooked! It perfectly buffs your foundation, concealers and powders effortlessly into your skin for a flawless base. I wish I had started using this sooner, it saves me so much time in the morning as it blends quickly. Real techniques is such an affordable brand and their products are amazing quality too, buy here.